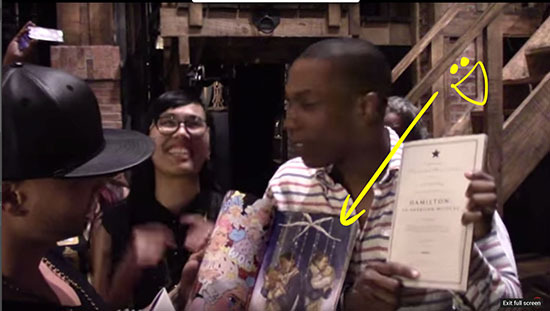 THAT’S MY ART NEXT TO LESLIE ODOM JR’S FACEEE!!! 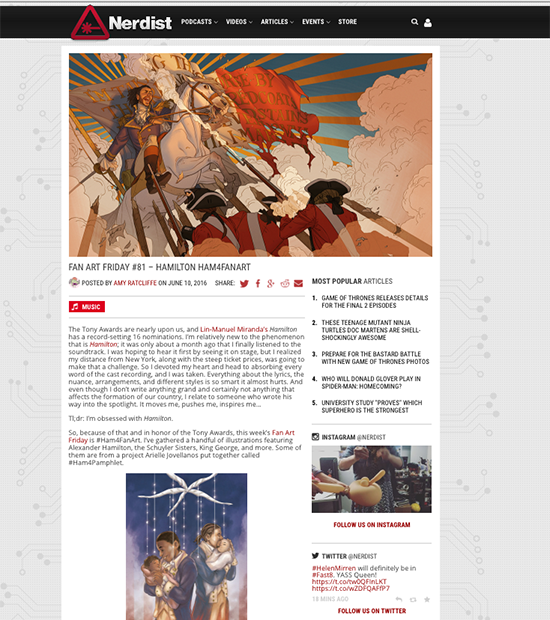 Yeah, I enjoyed screencapping this one and seeing my friends’ art on it, too! 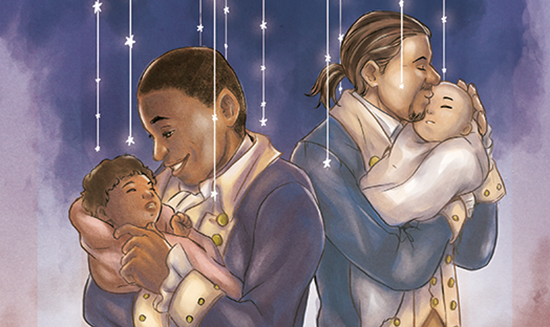 From this video feature with Leslie Odom Jr.
Dear Theodosia featured on the Nerdist! This was a nice surprise! For The Nerdist’s Fanart Friday #81. 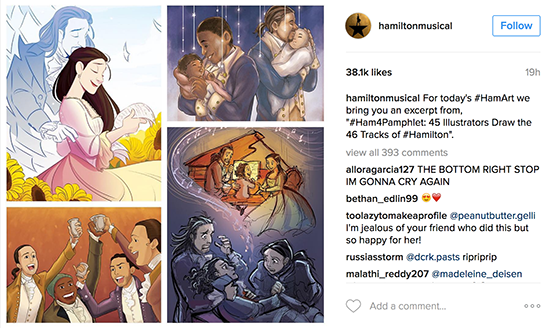 The Official Hamilton Musical instagram featured my art!!! This one just kinda blows my mind!! !